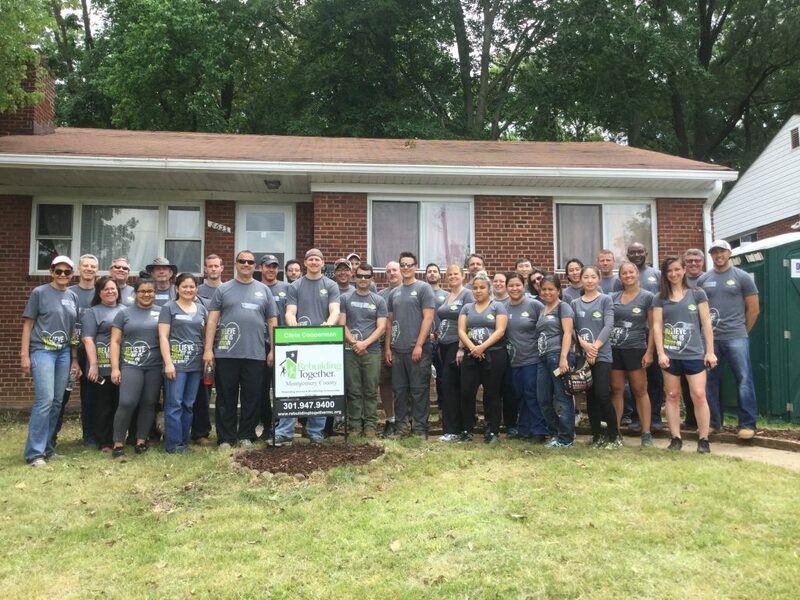 Rebuilding Together Montgomery County utilizes GIVE Maryland donations to work with community partners to provides low-income homeowners with no-cost home repairs, energy efficiency upgrades, and accessibility modifications. As families across the state prepare to give thanks, Maryland’s nonprofits are also gearing up to celebrate and encourage giving through Giving Tuesday (#GivingTuesday). Now in its seventh year, Giving Tuesday is celebrated on the Tuesday following Thanksgiving. This year, November 27 will kick off the charitable season, when many begin to focus on their holiday and end-of-year giving. #GivingTuesday has become a movement that encourages and supports giving and philanthropy with events throughout the year and a growing catalog of resources. In an effort to provide Marylander’s more opportunities to connect with nonprofits in their communities, the Maryland Department of Housing and Community Development created GIVE Maryland. The website links donors to the 501(c)(3) nonprofit organizations that have been awarded Community Investment Tax Credits by the Maryland Department of Housing and Community Development for use as incentives to attract contributions to benefit local projects and services. Individuals and businesses who donate $500 or more to an approved project can earn state tax credits equal to 50% of the value of the contribution. GIVE Maryland gives individuals and businesses the opportunity to tailor their contributions based on their interests and to search for and donate online to nonprofits that have available tax credits and are working in their own communities. This November 27, join #GivingTuesday and GIVE Maryland to make a difference in your community.